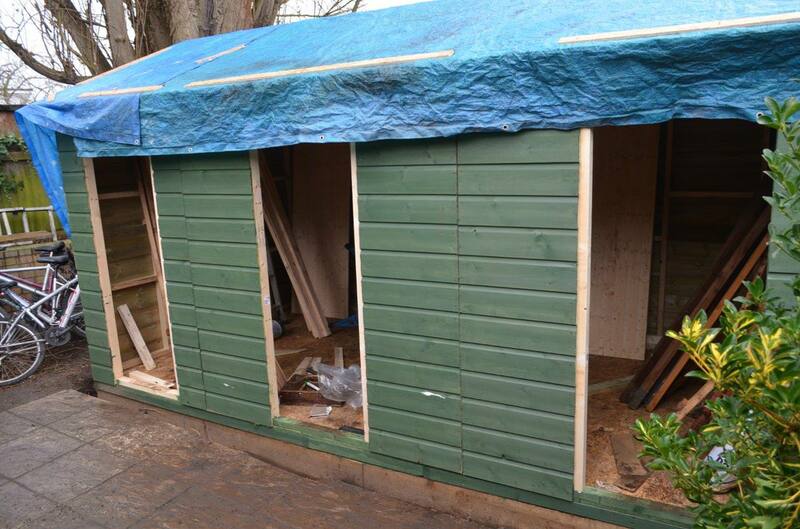 The walls are up and the roof is almost finished - currently planning to fit the felt this weekend with a neighbour. So in the meantime I am building the doors and will start on the internal walls later this week. With a fair wind I'll get my games room back by end of next week !! You may recall almost two years ago I extended my shed (the full details are here) but part of the deal with the Shedwife was that I had to give her part of the new build and as such a custom room was built into the new extension. At the time it seemed reasonable but I built it with a view that one day I might be able to claim it back. 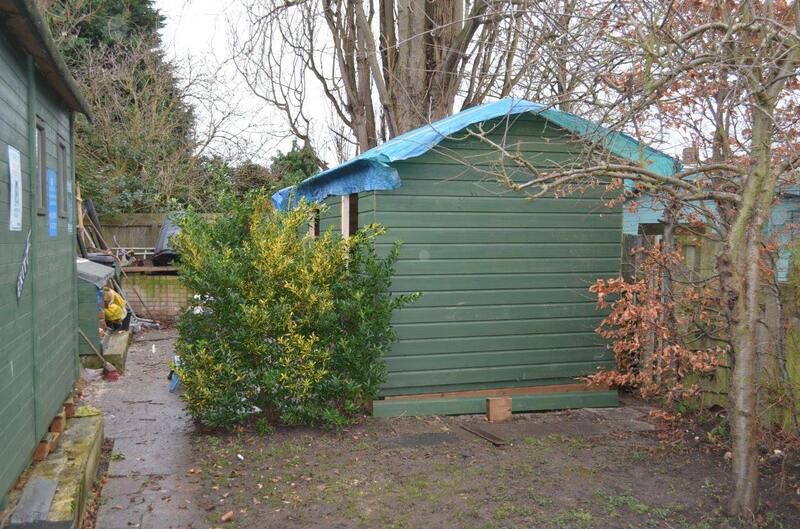 Just before Xmas I discovered that the two sheds sitting opposite my games shed were starting to show their age (one is at least 30 years old) and that they were starting to rot away very quickly. With time on my hands (My new job starts in Feb) a new construction project would be born and I could reclaim the room given to my wife ! First up I had to empty all the contents into my games shed - net result it is now jammed to the rafters. A lot of this is going to have to be sorted and thrown away. 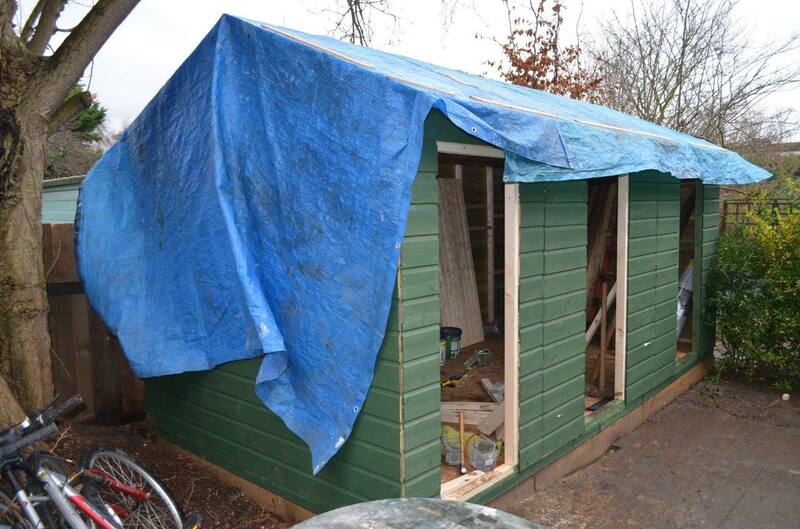 This means my shed is now out of action until the new build is finished. 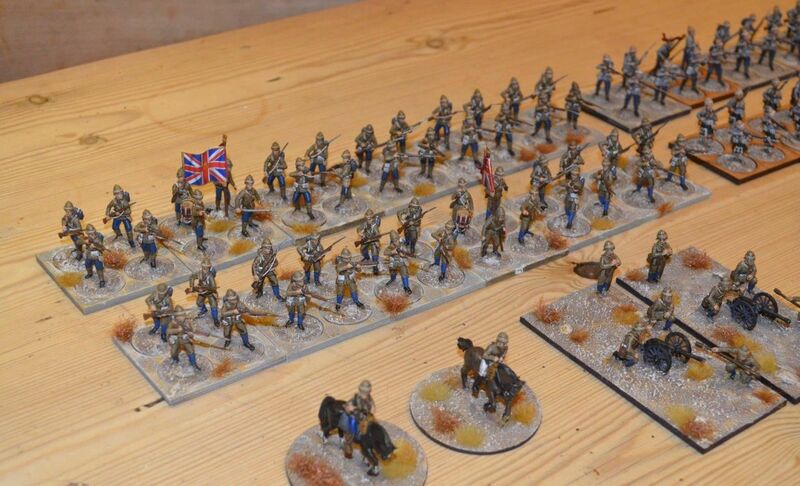 Given it is too cold to play regularly at the moment this is the right time to do it. 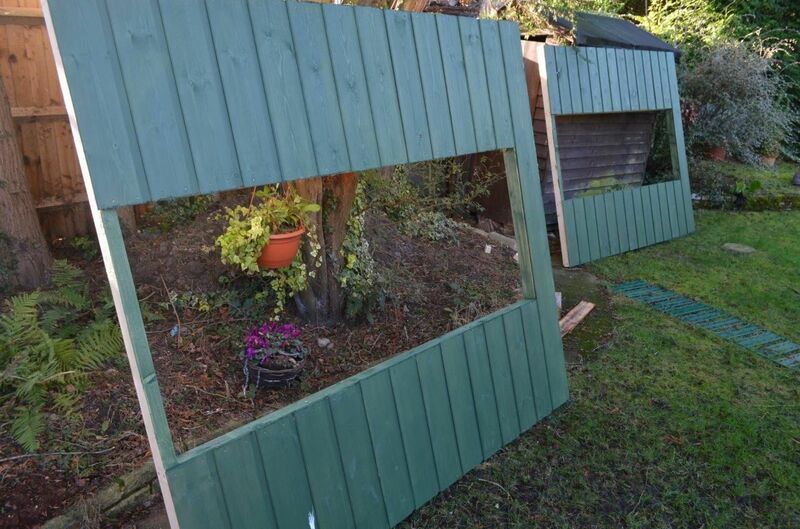 The two old sheds were dismantles and over a dozen trips to the local refuse tip followed. 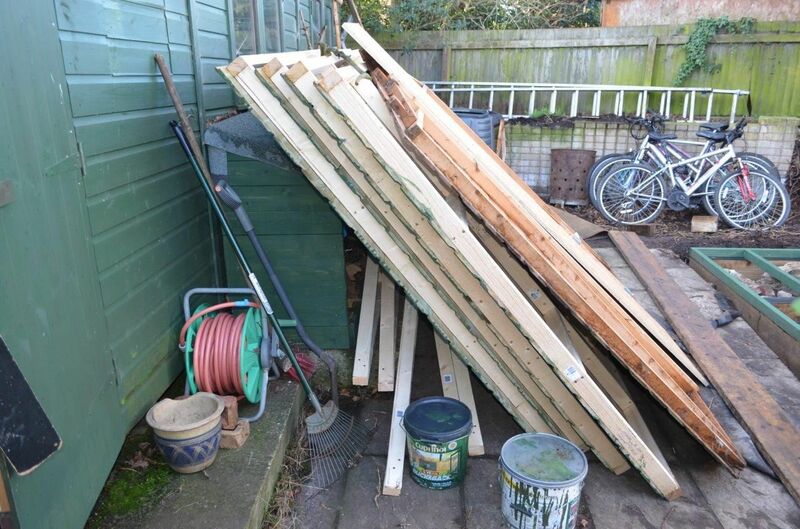 A vast amount of rotting timber, roofing felt and old boards were removed. Next up the ground was cleared, levelled and a new base of railway sleepers put down. This was about one week of hard graft with only a limited amount of sunlight each day. Once again I decided the build would be completed by hand as a custom project is both more economical and ultimately stronger than some of the off the shelf sheds. 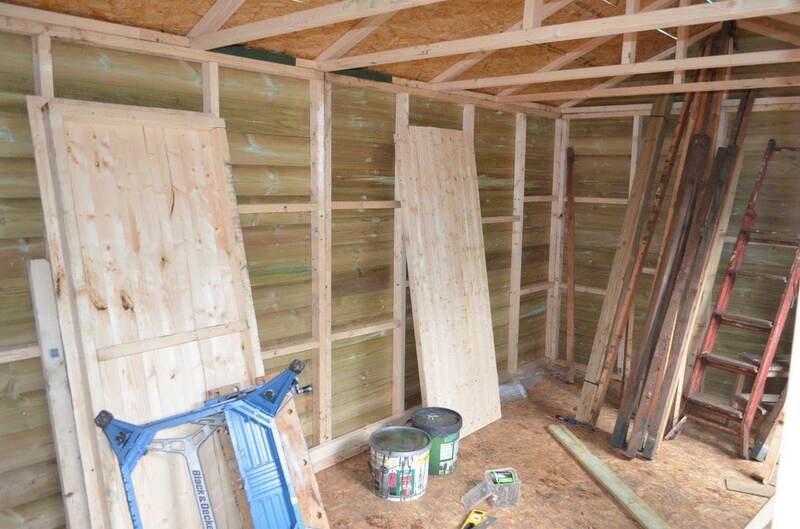 The new shed, replacing the old one will be 2.4m x 4.8m in size (8ft x 16ft), this will be subdivided into three separate units. 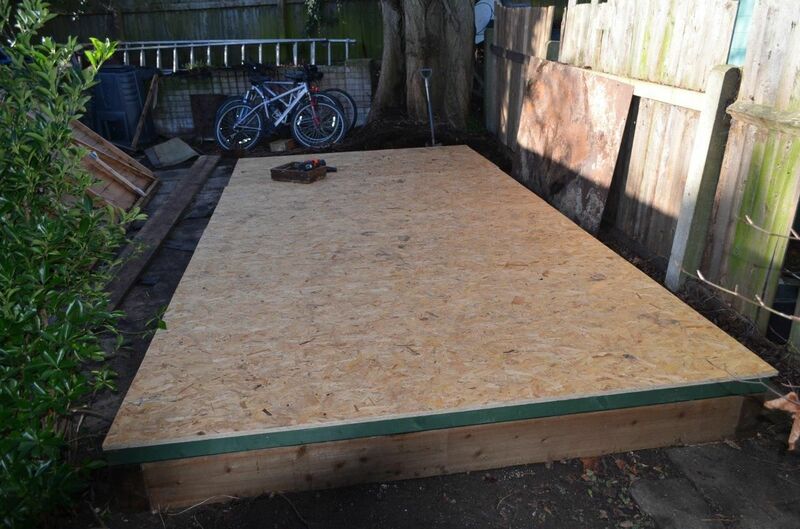 Over the last few days I have now built all the panels, roof joists and this morning completed the floor. With a bit of luck the final build starts tomorrow. Happy New Year and welcome to the first post on this blog for 2018. Things have been a bit manic over here at Shed Wars central and both painting and games have been a bit thin on the ground in the last couple of weeks. 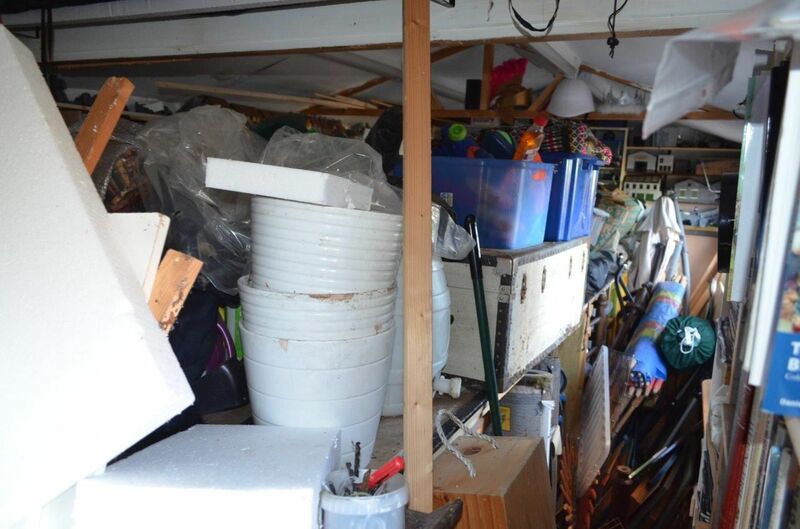 Things have have not helped when I decided I was going to rebuild the other sheds in my garden - yes I have two others to store all kinds of paraphenalia (bikes, camping equipment, garden tools etc). This meant transferring everything into my games shed, with a bit of luck I should be complete by end february so no big games until then. 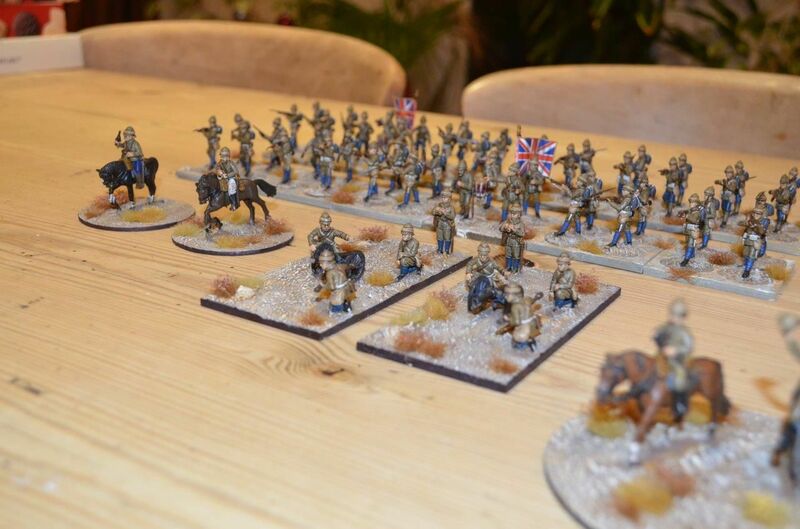 In the meantime I have been pushing on with painting the British forces for my Sudan project. As you can see from the pictures below things have grown somewhat since my last post. 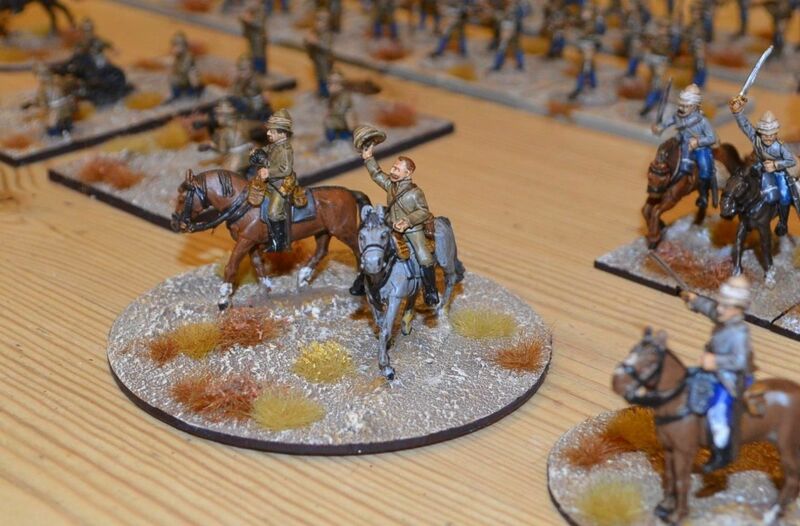 12 Cavalry Hussars - not the best paint job but they will do.